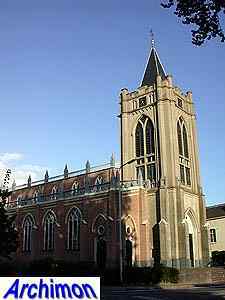 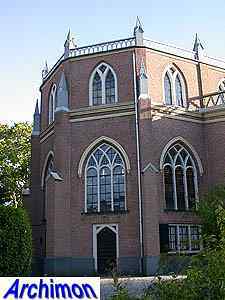 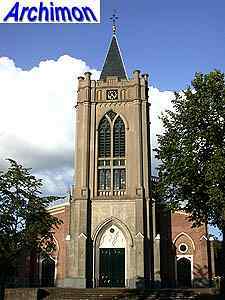 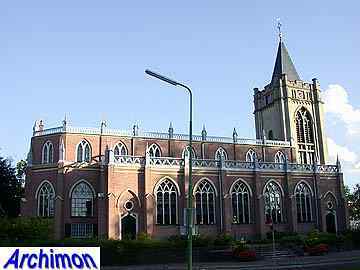 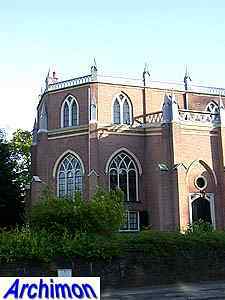 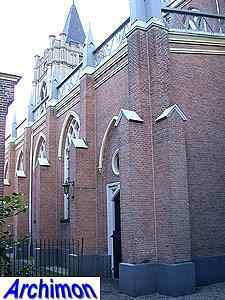 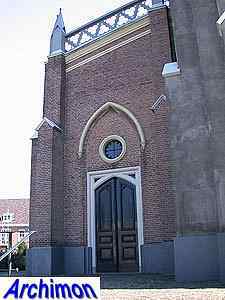 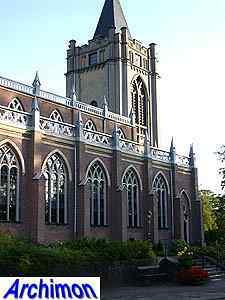 The reformed church of Zeist is a three-aisled basilican church which is closed by a choir-like polygonal part. 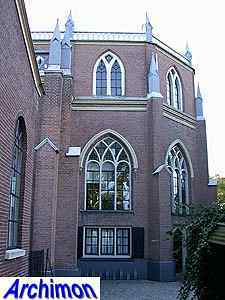 If it wasn't for the style it was built in it could have been a former catholic church. 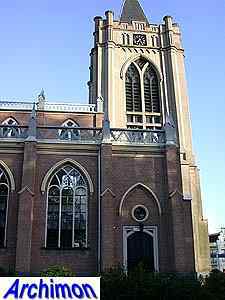 Actually, the church replaced an older one, of which the12th-century tower was retained, albeit after some major cosmetic changes. 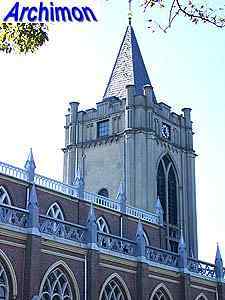 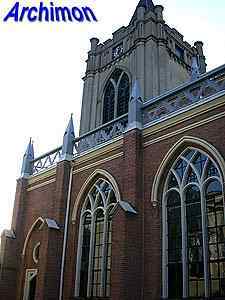 The rest of the building was designed by the architect taking English Gothic churches as an example. 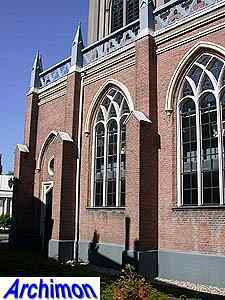 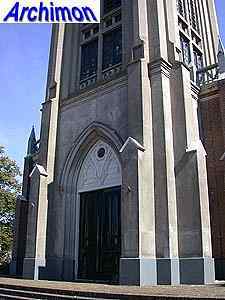 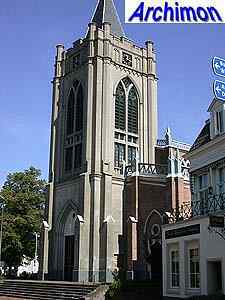 As a whole, the church is one of the most important examples of early neo-Gothic architecture in The Netherlands, when architects had no understanding of actual Gothicism but instead interpreted the style in a rather imaginative way, emphasizing on supposedly Gothic shapes more than on Gothic structure. 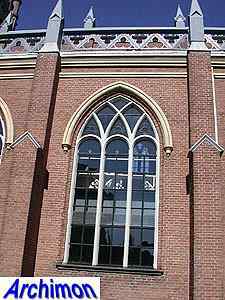 The pointed arches on the outside are made of plaster. 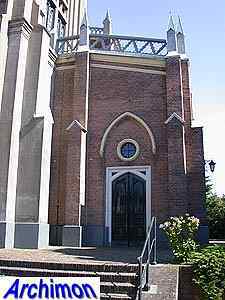 Since it was built the church has seen a few changes. 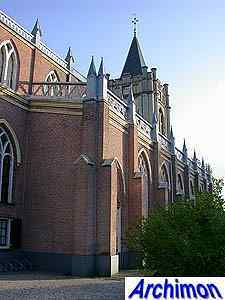 The originaly wooden balustrades were replaced by iron ones at one time, while the terracotta pinacles made way for ones made out of concrete. 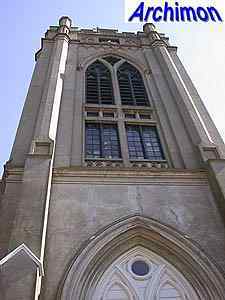 In 1920 the coat of plaster covering the walls of the nave was removed.